What a lovely sunny Tuesday; the kind of day that makes meandering along the beach, the waves cresting between our toes simply delightful. But for those of us not at the shore, we must look within our own garden for a hint of ocean, those tides of summer. 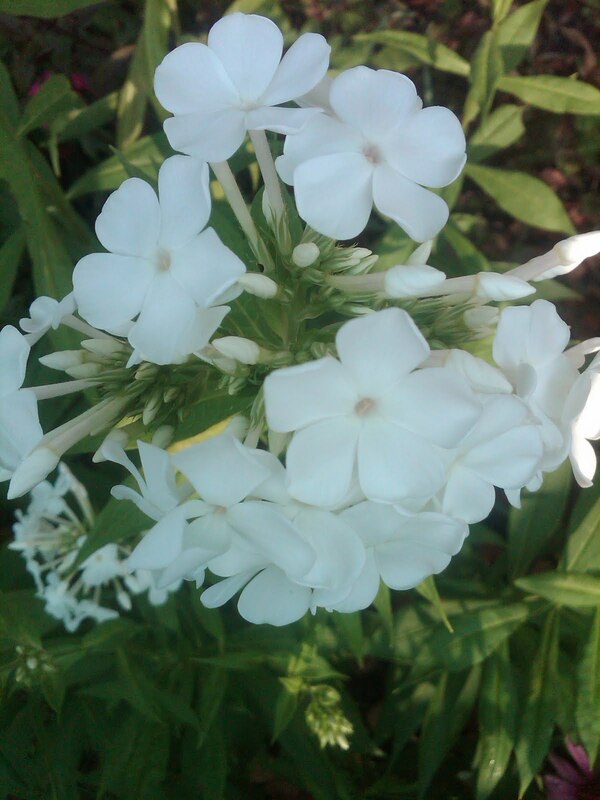 Here are a few white flowers (from simple to unique) in blossom just about now. Hope you enjoy my picks for the white tides of summer. Feel free to post the white flowers blossoming in your gardens. Would love your input on this magnificent summer day! 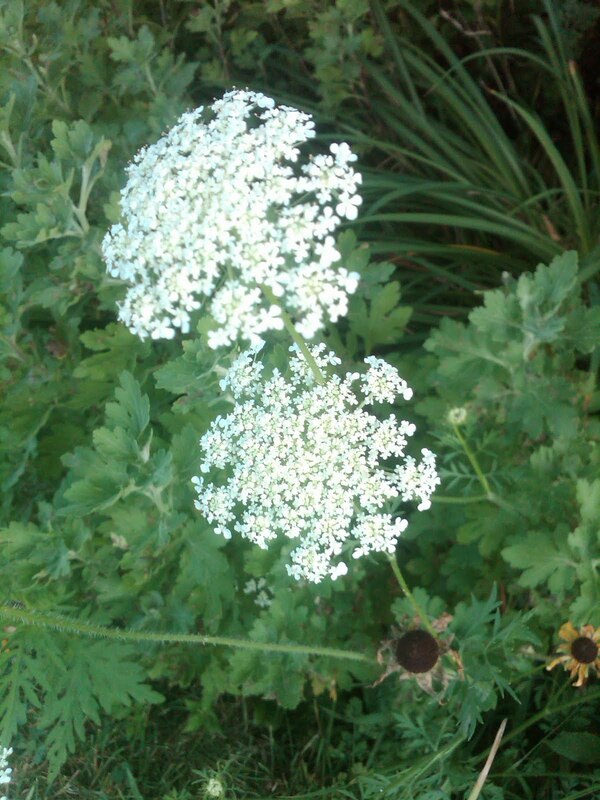 ﻿Queen Anne’s Lace: Unfortunately this delicate white flower may be considered a weed but it offers beauty to a vase of flowers plus Queen Anne’s Lace attracts bees and other beneficial insects. Also called ‘Wild Carrot’, it can be a bit invasive. Read up on this plant’s interesting history and what other horticultural blossoms can be confused with the Queen. Phlox paniculata: Commonly known as Garden Phlox, this favorite perennial for the summertime garden comes in a variety of colors. A perfect white variety stands out amongst the crowd and is also quite fetching for the flower vases. 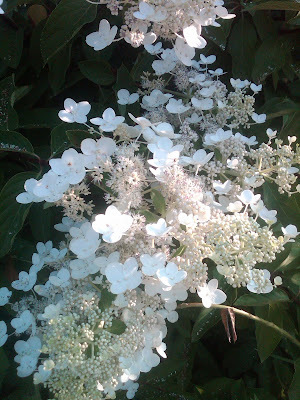 And for the unique white in your garden, here is an all-time favorite, which I have written about in past blogs - a Paniculata Hydrangea variety called H. paniculata 'Unique’. But don’t be fooled. This Hydrangea provides additional colors as the seasons change so feel free to check back on past posts via the 'Search This Blog' about an interesting and 'Unique' Hydrangea variety. So that’s it in a clamshell. These summertime picks are full sun lovers - perfect for our beach theme! I’ll end this post with an anonymous quote that can translate into our gardens as well. "At the beach, life is different. Time doesn't move hour to hour but mood to moment.” So find that moment in your summer garden – discover the white tides of summer. Check out our fan page http://www.facebook.com/abilowz where I’ll be posting a few more pictures of these blossoms. And don’t forget to hit the like button on your travels there.